Nice work, I'm using your spanish Avira repack. escorpiom wrote: Nice work, I'm using your spanish Avira repack. Sorry to be a pain 4lfre1re, is it possible to disable the short system scan (luke filewalker) that runs after install? I remember it was an option during install that we could disable. The scan takes a bit of time and my installs are mostly clean so no reason to have Avira scan the system. escorpiom wrote: Sorry to be a pain 4lfre1re, is it possible to disable the short system scan (luke filewalker) that runs after install? ; whereby "name" is the fully qualified name of the script file. 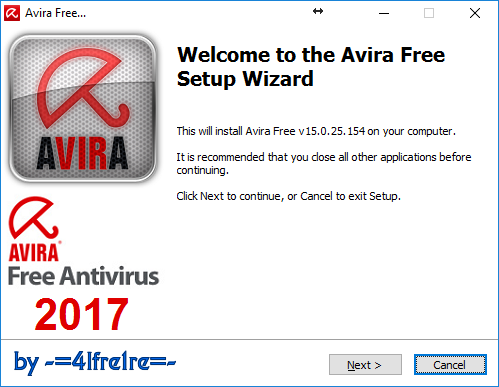 ; attaches the company name (Avira) and the product path. ; Environment variables such as %PROGRAMFILES% can be used. ; 1 = Create, 0 = Do not create. ; Path and file name of a license file to be installed at the same time. ; the configuration of AntiVir can be predefined. ; scanner, 0 = Do not install mail scanner. ; 1 = Install WebGuard, 0 = Do not install WebGuard. ; The shell extension of AntiVir is registered in the registry. ; This extension can only be run under Windows NT 4.0 or higher. ; installed, the scanner cannot search for rootkits on the system. ; 1 = Install AntiRootkit, 0 = Do not install AntiRootkit. ; is to install a module for detecting unknown malware. 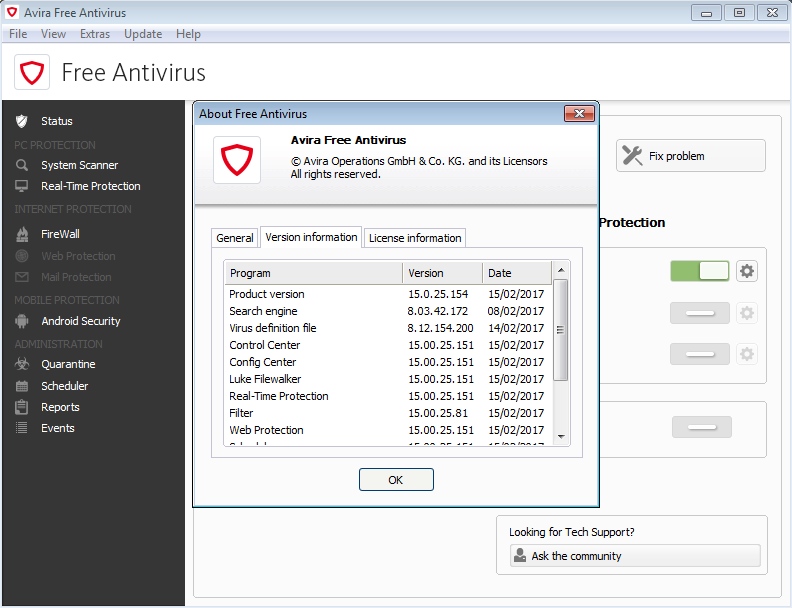 ; advanced online scan (Avira ProActiv Community) is also automatically enabled. ; 1 = Install AntiVir ProActiv, 0 = Do not install AntiVir ProActiv. ; 1 = Install Avira FireWall, 0 = Do not install Avira FireWall. ; if a password was set. – Update: Updates an existing installation. In this case configuration parameters, for example Guard, are ignored. copied in the destination path. To skip quick scan after install.